I just received my new DAC-2v2SE 10th Anniversary Limited Edition earlier today and am already blown away. :) It's already awesome... can't wait to hear it after it's been broken (in) a bit. Shock and awe! Customer Feedback > Quiet as a mouse! PH-1 Phono-Stage - Quiet as a mouse! 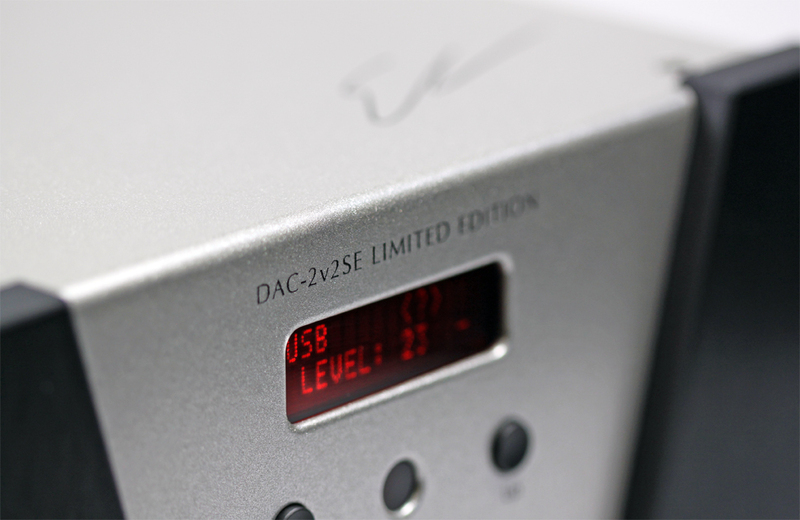 DAC-2v2SE 10th Anniversary Limited Edition - Holy Cow! SX-1000R - Absolutely amazing amps! Sonos Connect - Modified - Impressive! DAC-2v2 Series - Straight out of the box... amazing! Sonos Connect - Modified - WOW! DAC-2v2 Upgrade - Music is "reborn to new life"
DAC-2v2 Series - Music is "reborn to new life"
DAC-2v2 Series - Magic in a box! PS-1 Modular Linear Power Supply - I love my PS-1’s. HCPS Linear Power Supply - I love my PS-1’s. Remedy Reclocker - trade-in - The Recovery Rocks! Remedy Reclocker - The Recovery Rocks! Recovery - Wife picks Recovery "every time"
Recovery B-stock - Wife picks Recovery "every time"
Recovery - B-stock/Demo - Wife picks Recovery "every time"
Demo DAC-1 LE (Limited Edition) - DAC-1 LE "checks all the boxes"
DAC-1 LE (Limited Edition) - DAC-1 LE "checks all the boxes"
mPRE - mPRE completes an "awesome package"
Music Server MS-2 - MS-2 added "EXCITEMENT"
Recovery B-stock - Recovery "very good indeed"
Recovery - Recovery "very good indeed"
Recovery - B-stock/Demo - Recovery "very good indeed"
Recovery - B-stock/Demo - What the Recovery does is "staggering"
Recovery - What the Recovery does is "staggering"
Recovery B-stock - What the Recovery does is "staggering"
Recovery B-stock - Recovery is a "no brainer"
Recovery - B-stock/Demo - Recovery is a "no brainer"
Recovery - Recovery is a "no brainer"
DAC-1 and DAC-2 Upgrades - Wyred 4 Sound Dac2SE Upgrade Revisited & Findings -- The Best Decision Unequivocally! DAC-2v2 Upgrade - Magic in a box!